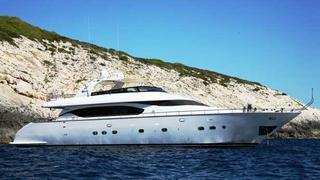 News just in from Ivan Adzic at Fipa Group of a €410,000 price reduction on Inclination 1, a Maiora 27 motor yacht. Inclination 1 is a flybridge yacht built in 2004 and completely refitted in 2007 when the current owner purchased her. She has been looked after by permanent professional crew ever since. The yacht is powered by reliable Caterpillar engines, and she is MCA compliant and features an optional second crew cabin, which makes her ideal for charter. Her natural mahogany interior is warm and contemporary. Lying in Porto Montenegro, Inclination 1 is down from €1.9 million to €1.49 million.